We drink it. We bathe in it. We wash our clothes in it. We need it to grow crops. We take it for granted, yet for 1.1 billion people in the world clean water is a luxury. Unclean water threatens the lives of billions of people every day, but most of us don’t know what life without clean water would be like. Something as simple as a public water fountain is an oddity to many people. We buy clean water in a bottle for $1 and that same dollar could give a person clean water for an entire year! 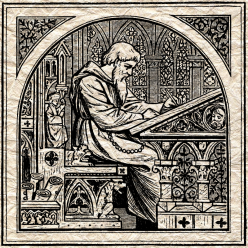 John Wilkerson, the Jesus Geek, dedicated his 2009 podcasting season to Podcasting For Water, raising funds to provide clean water to people who desperately need it. This volume includes original fiction from Deborah Caligiuri, Laura Thompson, Kelsey Felder, and Justin Lowmaster. David Crutchfield contributes an all-new Gargoyle story, and Winston Crutchfield takes us to the Atomic Earth. These modern writers are joined by classic works and essays on the importance and history of clean water. 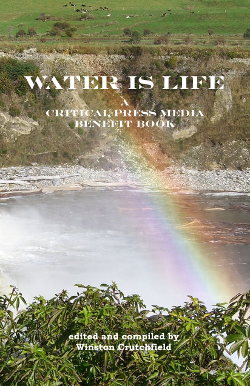 Water Is Life is a Critical Press Benefit book. With every purchase, Critical Press Media makes a donation to Living Water International. Critical Press Media is not affiliated with Living Water International. Give water, and give life. Water Is Life is now available in popular ebook formats directly from Critical Press Media and a paperback printed copy from Lulu. If you have enjoyed this product, consider making a donation to Living Water International.